NEW YORK – It doesn’t get much bigger then Monday Night Football, when it comes to a national stage. The Giants had this game marked on the calendar before the season started. The Giants have been running the table in the NFC East but lately the Cowboys have been working their way back into the mix. Beating the Saints would send a message to the league and get them closer to that ‘ten win’ mark we all think would solidify a playoff berth. But it wasn’t meant to be and the Giants lost 49-24 in a thorough beating by QB Drew Brees and the Saints. Fans were losing their minds in frustration at what was perceived to be a lack of effort. One thing is for sure, the Giants can’t blame the refs for this one. The G-Men (4 penalties) seemed to be getting every call going in their favor and the Saints finished with 11 penalties called against them. The Saints were moving the ball at will against the Giants defense. The first half had me squirming in my seat as usual and the air of hope remained when the score was 7-3 in the 1st quarter, which quickly became 14-3 and then 21-3 at halftime before settling in at 21-10 early in the 3rd quarter. It was still a competitive game and the air of hope, still seemed possible. That is until the Saints scored 28 more points in the second half. The Giants offense did their job in my opinion with putting up 465 total yards of offense and 24 points. They should have scored at least one or two more TD’s though and made the Saints defense look good. My 10 year old nephew will no doubt tell me that the reason the Giants lost was because I fell asleep with a few minutes left in the game. He is convinced we control the fate of sports teams by watching the entire game on TV from beginning to end. Maybe he is right. But sometimes I’m right too, like my pre-game prediction via twitter saying DE Jason Pierre-Paul would have a great game. JPP led the entire defense in tackles. Nice job Jason! Have fun in Hawaii. In my heart, I believe the Giants lost this game simply because statistically, the defense had one of their worst games of the year. The defensive stat line is empty. No INT’s, no sacks and no forced fumbles. The Giants defense did nothing to prevent Brees from exploding for 4 TD’s and the Saints from scoring 49 points. Our passing game was good, our running game was decent. I thought the G-Men would have put up more points on the Saints defense. A couple of turnovers in a shoot out makes all of the difference when the music stops. Besides the INT, the Giants had 4 fumbles of which they lost one. IDR. IDR is my new term for Injury Depleted Roster. The Giants have IDR and the only known cure for this pandemic, is to get healthy star players on the field. The Giants should have 9 wins right now in my opinion. Instead they fall to 6-5 and drop to second place in the NFC East, behind the Cowboys. QB Eli Manning – Manning had another good game. He finished with 406 yards 2 TD’s and 1 INT. By the way, Manning just breached the 26,000 career passing yards mark and now has 26,004. Way to go! RB Brandon Jacobs – Jacobs was running hard but hasn’t been as productive as Bradshaw yet. He finished with 46 yards and 1 TD. WR Hakeem Nicks – Nicks manned up after getting hit hard in this game. He finished with 87 yards. S Chad Jones – Jones was on the sidelines with his teammates and could not stop smiling. Chad was in an auto accident shortly after the draft and hasn’t played yet. We’ve got nothing but love for Chad! DE Justin Tuck – Tuck was very active in this game but could not get to the quarterback. He finished third in tackles. TE Jake Ballard – Ballard had another productive game and is playing on an elite level this year. He finished with 47 yards. S Antrel Rolle – Rolle was making plays all over the field and finished second on the team in tackles. CB Prince Amukamara – Prince is a good luck charm I think. He recovered a fumble early in the game making it back to back games with turnovers for the rookie CB. DE Osi Umenyiora – Osi had a quiet night and hurt his ankle. He left the game and did not play in the second half. Get well soon Osi! WR Mario Manningham – Super Mario missed this game due to a knee injury. Get well soon Mario! DE Jason Pierre-Paul – JPP led the entire defense in tackles and was playing hard out there. I love this guy! LB Greg Jones – Jones was in the mix out there and making plays. The ‘Fresh Three’ or Freshman three rookie LB’s are playing good football. WR Victor Cruz – Cruz is an elite NFL WR. How do I know this? The numbers don’t lie. Cruz finished with 157 yards and 2 TD’s. S Kenny Phillips – Phillips will no doubt get fined for a brutal hit he made on TE Jimmy Graham. That hurt just watching it. LB Jacquian Williams – Williams had a good game and I have to remind myself that he is a rookie sometimes with the way he plays. RB DJ Ware – Ware was out there blocking and contributing. He finished with 23 yards. CB Aaron Ross – Ross had a good game but also missed some plays out there. He wasn’t alone in his sub par play however. LB Mark Herzlich – This rookie LB plays like an African Lion on Animal Planet. I mentioned that on twitter last night. Fun to watch. OT William Beatty – The Giants will be without the starting left tackle for up to a month or so. Get well soon William! RB Da’Rel Scott – The rookie RB fumbled and turned the ball over. I love the guy and know he will be a huge asset for the Giants down the road. CB Michael Coe – Coe was lost for the season and has been placed on the IR list. Get well soon Mike! LB Michael Boley – Giants defensive leader Boley, will miss more time and is already sorely missed by the team. Get well soon Mike! P Steve Weatherford – Say what you want, we lost by 25 points, I like that Weatherford has enough heart to run if his number is called on a fake punt. He also been solid with punting. K Lawrence Tynes – Tynes went 1/2 on FG attempts for the night and made all 3 of his extra point attempts. Giants Offense – I think the Giants offense did their job. Turnovers cost them points but they were moving the ball. Giants Defense – This was probably the worst performance I’ve seen from this group all year in every aspect. I’m glad it is out of the way now. They finished with 0 sacks, 0 INT’s and 0 forced fumbles. Giants Special Teams – Still, the achilles heel of the Giants and three headed monster of all NFL teams, Offense, Defense and Special teams. What did you think of the Giants performance against the Saints on Monday Night Football? 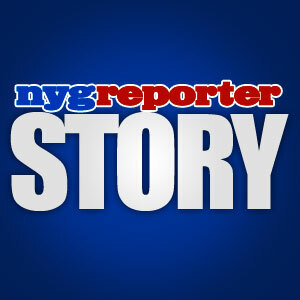 NEW YORK – I would like to announce that nygreporter has officially cleaned the slate. We have updated the Roster section of nygreporter and we have taken off all of the (rookie) title/monikers of the 2010 draft class. Congrats on making it through your first year in the NFL. We have moved people back into the Roster who were IR as well. This was a very good class of talent. Unfortunately, some of the guys had injuries (S Chad Jones, WR Victor Cruz, LB Adrian Tracy) that prevented them from playing very much last year. Hopefully, the Giants coaching staff stayed vigilant and taught these guys the playbook while they were on the mend. I believe they have and I think fans should get ready for a couple of surprises in 2011, when it comes to breakout stars. The Giants are a very talented team and just coming into their own. We have got to see some production from the 2nd and 3rd year players or they will risk losing their jobs. It’s that simple. The Big Blue front office will not allow the team to miss the playoffs for a third year in a row and if I’m wrong, I’ll eat my hat. The Giants No.1 overall pick DE Jason Pierre-Paul, like the bionic man will be bigger, stronger and faster this season. The guy looks like a defensive tackle (285 pounds at last count) who can run like a linebacker but it actually a DE. I expect big things from JPP in 2011. Things with DE Mathias Kiwanuka seem cautious at best and JPP would be a solid fill-in for Kiwi and a legit starter candidate in his own right. The defensive end position is stacked for years, GM Jerry Reese is not playing around with the Giants pass rush. Old school theory makes your mind explode when it comes to taking away an opposing offenses passing ability. Shades of Ernie Accorsi here. Safety Chad Jones is a question mark but he is said to be improving, fans are anxiously awaiting news on his playing status in 2011. LB Phillip Dillard looked great in training camp up close and I believe he will have a solid season. He looks like a natural leader in the MLB position and someone who is intent on winning the game. CB Brian Jackson is one of my favorites. Just a good kid looking to make some big plays and stay on the roster. Many have told me how impressed they were with his college career and I hope he can bring his game up to the next level. It looks like OL Mitch Petrus is a keeper too. DT Linval Joseph might be feeling the heat a little more then the rest of players this season because the tackle position could get thin. The coaches need Linval to perform at the highest level and contribute to the Giants defense. There is one player who didn’t have a very good rookie season and that would be P Matt Dodge. Without consistency, Coach Coughlin will explode on the sidelines all year and that means bad news for Dodge if he can’t right the ship in 2011. The fans want him to do well. The 2011 NFL Draft is about two months away now but I am already excited about who the team will pick. You will see us talk about draft predictions and which players to watch out for, leading all the way up to draft day itself. I must mention one last ting to the rookie class of 10′. I heard it through the grapevine that you have to play one snap in year two for the rookie moniker to disappear forever, so don’t be surprised if you have to carry helmets and shoulder pads for a day or two more but after that, you’re rookies no more. 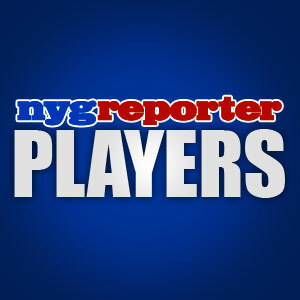 Coming Soon, be on the look out for the New York Giants rookie class of 2011 here on nygreporter.com. Tom Coughlin Talks Center, Shockey and Burress Back Again? NEW YORK – As a writer and fan, it always feels good to hear confirmation of your team assessment. Head Coach Tom Coughlin gave a press conference yesterday and spoke (uncharacteristically) about the team needing a Center. He mentioned being concerned about the injuries to all-world Center Shaun O’Hara and OL Rich Seubert. Now that he has said it, all of the other writers and fair weather fans out there will say that they knew it all along. The difference between myself and these people, is the fact that I wrote about it well over a month ago. It is there for all to see and it makes me feel good (ear to ear grin) that I am in tune with what the coaches think. Let me be clear, I said that I think the team will draft a true Center in the first or second round of this years NFL draft in April. My reason for saying that has to do with father time and not these men underperforming because O’Hara and Seubert are elite linemen. The player who I am focused on is Penn State product OL Stefen Wisniewski (6’3″ 306 pounds), who’s dad and uncle both played in the NFL. The experts say he will be drafted in the second round, which means he will most likely not be around by the time the Giants pick in round two but you never know. I didn’t think S Chad Jones would be around last year and the Giants were able to scoop him up in round two. A lot of other fans are asking for OL Mike Pouncey (6’4″ 310 pounds) in the first round, this is another possibility and something that would not surprise me at all if the G-Men decided to pull the trigger. OT Anthony Castonzo (6’7″ 305 pounds) is another name being mentioned a lot lately but he isn’t a Center. It may end up being someone other then the three I’ve listed here because the real possibility of Big Blue taking a linebacker in round one is always there. If that happens, then the offensive lineman position is wide open for round two. There are two other hot topics buzzing around the internet this week and they are WR Plaxico Burress and TE Jeremy Shockey. Burress is scheduled to be released from prison in June and Shockey was just released by the Saints. Two very different types of releases but none the less it makes them both available. Coach Coughlin said the team has talked about Burress a little bit but not much. It is too early to think about Plaxico since he is 3-4 months away from being able to sit down with the team. He is reportedly in great shape and getting Burress for the league minimum must be intriguing. Shockey is another story entirely and it is very unlikely he will return to Big Blue. Reports have stated that he went to Miami and passed a physical with the Dolphins. Since he always prefers to train at UM during the off season and voluntary camps, this might be a perfect fit for the two-time Super Bowl Champion. What do you think the team should do about Jeremy Shockey and Plaxico Burress? And what are your thoughts on drafting a Center? 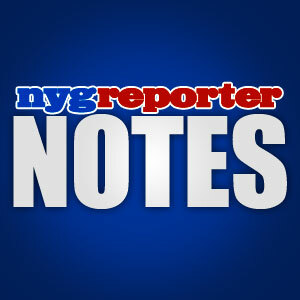 NEW YORK – The New York Giants have problems, big problems. The team has not been able to stay healthy since 2008. The 2009 NFL season may be one of the worst on record as far as injuries are concerned. The 2010 NFL season is slowly catching up to that infamous honor. There is absolutely nothing more frustrating then having a ton of talent on a team that cannot play due to injuries. I get physically ill when I think about the pro bowlers and supreme talent who have landed on the IR this year or who have missed significant playing time due to injuries. The Giants have been making so many mid-season transactions, that it has become difficult to keep track of them all. It seems like the team is brining in a new player every single week. The news broke yesterday about star WR Hakeem Nicks having to miss at least 3 weeks with a leg injury and it was just another punch to the gut. The Giants already have players, who are playing games with injuries and legging them out. I will leave a current list of players who are missing significant time in 2010 below, so you can see for yourself what the team is dealing with. Last year, the defense was the main problem and that has been fixed with the arrival of DC Perry Fewell and a bunch of new players. In 2010, the special teams has effected more games then I care to discuss and the offense has been turning the ball over at an astonishing rate. So far, turnovers and the special teams play are number one and two on my list of issues. Not too far behind and perhaps tied with one of the previous two items are the injuries. The Giants can’t seem to catch a break this year, after once again having a promising first half of the season. The Giants have had the No.1 defense and a top three offense for much of the first half of the 2010 NFL season and now it seems to be slipping away week by week. They are currently the No.2 defense and No.3 offense in the NFL with a 6-4 record. This season is far from over and the G-Men are capable of running the table when healthy but when your three starting WR’s are Mario Manningham, Duke Calhoun and Derek Hagan, you may run into some problems because those are your No.3, No.4 and No.5 WR’s on the depth chart. Not to mention that TE Kevin Boss has been banged up all year and has missed time, further taking away weapons from Eli manning who is having a solid season despite his meltdown against the Eagles this past weekend. The 6-4 Giants will reportedly sign the 6’4″ former Tampa Bay WR Michael Clayton to a one year deal today, to help the depleted WR corps. Clayton is a young 28 year old player with six years of NFL experience under his belt. He will be brought in from his current Omaha team with the UFL. This might be just the thing this young man needs to live up to his potential. The Giants will need to clear the air and get focused for their next game this weekend against the Jaguars at 1PM EST in New Meadowlands stadium. Let’s take a look at some of the injured players for Big Blue. THE NEW YORK GIANTS ARE HAVING A CONTEST TO WIN TWO TICKETS TO THE SUPER BOWL!! CLICK HERE FOR MORE INFO.ALWAYS READ THE OFFICIAL RULES OF ANY CONTEST, GOOD LUCK! How is New York Giants Rookie Chad Jones Doing? NEW YORK – It has been a long time since Giants fans have heard an update on rookie safety Chad Jones’ condition since his automobile accident. We know he is out for the 2010 NFL season, which would have been his rookie year. This was a similar situation last year with rookie RB Andre Brown, who was cut after a year on the IR list. Hopefully, Pat Hanlon or someone else with the Giants can let us know soon. I was expecting big things from this kid, just as I was with RB Andre Brown. I hope they do not share a similar fate in their ability to play football. Chad Jones was lucky to escape a horrible car accident before training camp began in the summer of 2010 (6-25-10). The Giants put Jones on the waivers list and waited until he cleared before they picked him back up. He was placed on the non-football related injured reserve list, where he has remained during his rehab process which is on going. The Giants had a rash of injuries at the safety position this year and were fortunate to have gotten Antrel Rolle and Deon Grant on the team before the season started. The fact that Kenny Phillips wad able to return fully healthy this year, after getting shut down for most of the 2009 season is a miracle. The Giants secondary has been greatly improved by the presence of new Defensive Coordinator Perry Fewell, who is known as a defensive backs guru. The Giants have had the number one defense ranking multiple times this season thus far. It will be interesting to see where Chad Jones fits into the picture when he is healthy. Once a Giant, always a Giant Chad! You have the Giants fans rooting for you to get well soon. Hopefully, this young man can return to the game he loves and have a long career in the NFL. THE NEW YORK GIANTS ARE HAVING A CONTEST TO WIN TWO TICKETS TO THE SUPER BOWL!! CLICK HERE FOR MORE INFO.ALWAYS READ THE OFFICIAL RULES TO ALL CONTESTS, ENDS DEC 27, 2010 GOOD LUCK! 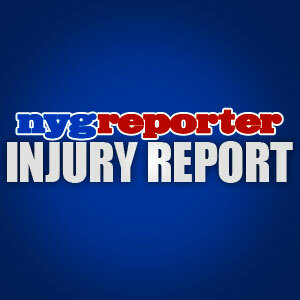 NEW YORK – The New York Giants might need to seek some alternative medical practices because they simply cannot avoid injuries as of late. I’m not suggesting getting a witch doctor on the med staff but there certainly needs to be some changes in the training process. The Giants already have eight players on the injured reserve list and we are only in week one of the 2010 NFL season. The bad news continued to roll in today with the reports of OT William Beatty needing surgery for a fracture in his foot. I do not need to explain how important the left tackle position is and I’m glad that the team picked up OL Shawn Andrews as insurance. OL David Diehl is more then capable of filling in at left tackle, a position he has a lot of experience with. TE Kevin Boss suffered another concussion in the game on Sunday and the team has not said when he will be able to return. I’m not sure what to say but I know that the Giants cannot continue to lose starting players at this rate and expect to be competitive in the NFC East. TE Travis Beckum is the only other tight end on the roster. Big Blue does have TE Bear Pascoe on the practice squad but he could find himself on the bus if Boss misses significant game time. I wish I could tell you that we were through with listing some injuries but we are not. LB Chase Blackburn was diagnosed with a sprained MCL. The team did not say how long Blackburn would be out. You would think it would be about 2-4 weeks, depending on how bad the headaches are. Blackburn has already been quoted as saying he hopes he doesn’t need to miss even one week but that is being overly optimistic in the eyes of the medical staff. Blackburn is a huge contributor on special teams and a primary backup for the MLB position. With the recent rash of injuries on the Giants, do you think their is a solution to this problem or is just a part of football? PLEASE SUPPORT GEORGE MARTIN’S, A JOURNEY FOR 9/11 CHARITY! !